Nina Mair studied architecture at Accademia delle Belle Arti in Florence (I) and at the University of Innsbruck (A) and graduated in 2006. In the same year she founded design studio Pudelskern together with two partners, which she managed until 2012. Since 2012 Nina Mair has been working by herself as a product designer and architect in her own studio in Innsbruck. She is known for her narrative design and contemporary style. Her work draws on her passion and enthusiasm for materials, handicraft und various industrial production techniques. 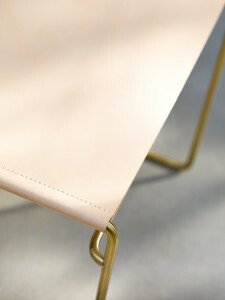 Brass and leather unite unpretentiously in a clean design. 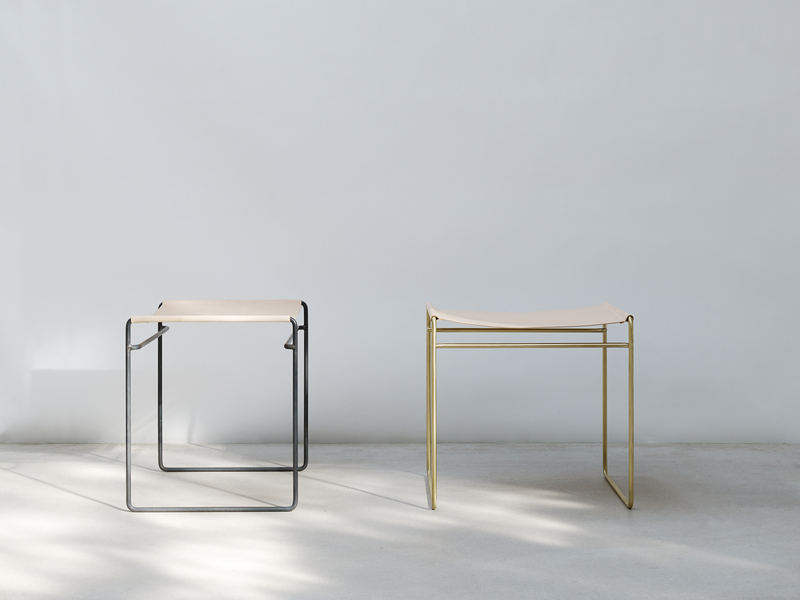 A high-quality round brass profile takes the form of a simple stool for everyday use, which is robust despite its elegant proportions. The handcrafted, naturally tanned leather creates an interesting contrast with the shiny metal surface. 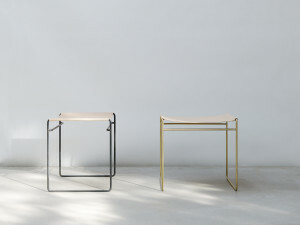 The stool is available in two different metallic finishes: brass and steel. 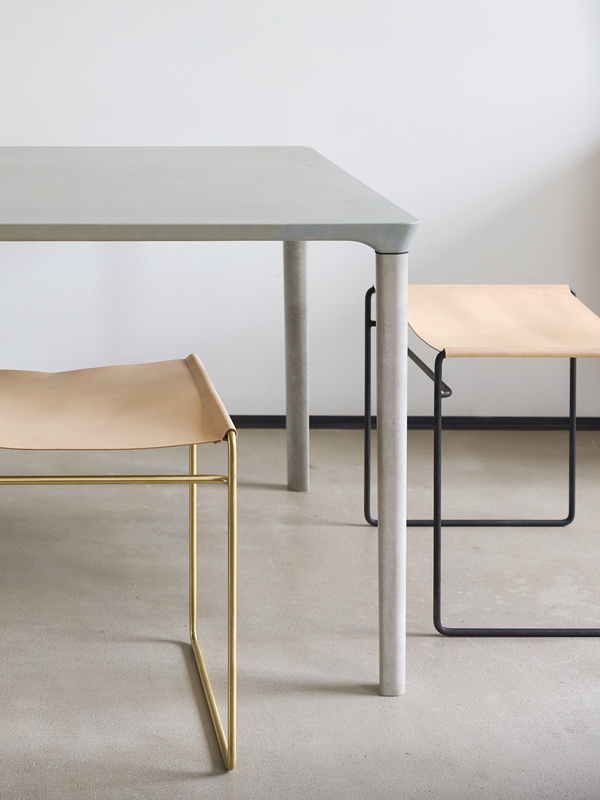 Two types of side tables complement the Tilda product family. 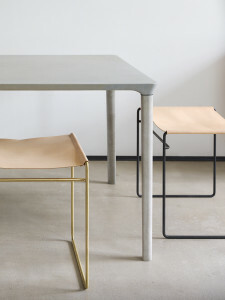 Matching the appearance of the metal legs, the tabletop is made of coloured glass or wood with a glossy finish.